Everyone was very professional, helpful and polite, especially Faten at the front desk. I felt like the doctor and his wholestaff went above and beyond to create a very caring atmosphere despite being very busy. I felt taken care of even while waiting. Everyone was very professional, helpful and polite, especially Faten at the front desk. I felt like the doctor and his whole staff went above and beyond to create a very caringatmosphere despite being very busy. I felt taken care of even while waiting. Dr Moiln was amazing. He was fast and efficient. His upbeat personality, his professionalism and his love for people mademy visit very enjoyable. I highly recommend him. Dr Moilin was unusually busy with walk ins the day of my appointment. His office was packed with people upon my arrival as I left his office all patients had been seen. The staff remained upbeat even through the stress. I was very impressed. It was well worth the wait. Dr Moiln was amazing. He was fast and efficient. His upbeat personality, his professionalism and his love for people made my visit very enjoyable. I highly recommend him. Dr Moilinwas unusually busy with walk ins the day of my appointment. His office was packed with people upon my arrival as I left his office all patients had been seen. The staff remained upbeat even through the stress. I was very impressed. It was well worth the wait. Dr. Moiin received his bachelor's degree in pharmacology and master's degree in biology from the University of California, Santa Barbara. He received further training in pharmacy at the University of California, San Francisco. Dr. Moiin was awarded his Doctor of Medicine degree from the University of California, Davis. After a year of internal medicine training in San Francisco, he completed residency training in dermatology at Wayne State University School of Medicine. He has received additional training in cosmetic dermatology at Tulane University Medical Center. Dr. Moiin is board-certified in dermatology by the American Board of Dermatology and is a fellow of the American Laser Surgery and Medicine Society. 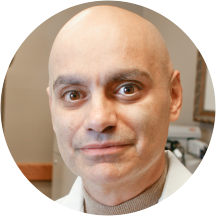 Dr. Moiin is the chairman of medical education for the Michigan Dermatological Society. Dr. Moiin is an associate professor of dermatology at Wayne State University School of Medicine, where he currently trains other doctors to become dermatologists. He also served as chief of dermatology at Harper Hospital. Recently, Dr. Moiin was chosen as the best professor of dermatology at Wayne State University. He maintains affiliations with major medical centers in the Detroit metro area, including Detroit Medical Center, St. John's Hospital, St. Mary's Hospital and William Beaumont Hospital. He has been a member of the Board of Medicine of the state of Michigan. A Comprehensive Dermatology Center, P.C. The wait was long, office was crowded. No place to sit. But Dr Moiin was great! He’s very fast, knowledgeable, and funny! Definitely recommend him. Always a great visit with Dr. Moiin’s practice. Professional and quick. It’s hard to say. I saw the doctor less than 15 minutes. He was personable. And I guess he’s highly recommended, since his office was literally overflowing with patients in wait. Unfortunately, I haven’t gotten a chance to gather my scriptso I can’t truly say that the brief time was immeasurably effective. But I hope to get results based on the treatment plan. Dr. Moiin is very nice and I am optimistic about the medications he prescribed to me. However, the wait time is really long. I could tolerate it because it was on Sat, not a work day. I waited over an houruntil I saw the doctor. I hope they improve this. I also saw many negative reviews about the wait time. Maybe they should not give appointment with 15 minutes gap. He’s also “good for the soul”he’s always happy and smileing he’s a “mood lifter “ and staff is awesome ! Besides being the best dermatologist I’ve ever been to?? No better dermatologist in the area. I did my research before going. Recommended by many MDs. Dr. Moiin and his assistants were very friendly, and even though my visit was short, I felt he was very honest and thoughtful regarding my condition. He had good bedside manner from what I can tell, he even offered a wayto contact him outside of the office if needed. The only real con I can see so far is that the waiting room is incredibly small, and I did unfortunately have a wait of 30+ minutes. It was a Saturday appointment though, which I'm sure explains the busyness. Made an appt for 3:45pm. Wasn’t seen until 5:15pm. Not only was the wait terribly long, the entire time the office was super crowded and when I first came I had to wait outside the office and stand. I waited overan hour for the doctor to come in for about 30 seconds to tell me he “agrees” with the students recommendations for me without even looking at my skin not even once. When he came in the room he was ON THE PHONE THE ENTIRE TIME!! By far WORST experience I’ve ever had in a doctors office not to mention how rude the front desk was towards me. Very professional, courteous and gave explanation and handout of treatment. Very good, quick diagnosis. It's a long wait time because the clinic accepts Medicaid, but that's just how it goes. I have been a patient of Dr. Moiin’s for years. It’s always a pleasant experience and hear the best in the business! My family and I have been to several dermatologists over the years. I knew immediately he was an exceptional doctor. And he took both my primary and secondary insurance which I could find no there Dr. To do.. he truly listenedto our concerns and history and was very thorough and professional. He also has a very bright and pleasant bedside manner. The one negative was that he had student interns and didn't ask us before if my son would be ok with it. He has anxiety and was made very uncomfortable by this. Though the sincerity of the doctor made up for it. Once I was seen, the appointment was quick and easy. Dr. Moiin was very nice. Positive experience overall! I drive over 20 miles to see him, wish there was a closer office...AS USUAL, HE HAS BEEN THE SAME FOR OVER 20 YEAR, don't want to have to find a new doctor, he's been the only one I've seen for 20+ yrs. The wait was beyond ridiculous. I would be fired if I missed an appointment by 1 hour 15 minutes. The Dr didn't even listen to me. Instead he told me what I had done, which was not the case. And hewas extremely creepy. I will never return and recommend everyone go elsewhere. Patients are standing up due to insufficient chairs. Not enough chairs in waiting room. People standing up into the hallway. Dr was very nice but did not spend time with me. He didn't even look at most areas on my body. Not spending enough time with the patient to understand the Concern. The staff was very professional and friendly I will be going back in two months to follow up and I was in at 10:00a.m. And out by 11:16a.m. Dr. Moiin was wonderful! Friendly, attentive, thorough and made me feel well taken care of. Dr. Moiin seems to really know his skin disorders. Very professional w/ an added sense of humor at the appropriate moments. Dr. Moiin was the nicest sweetest person ever. He addressed my concerns. and even gave me his cell phone number in case I need to contact him directly. He has a warm charming charismatic personality and you can tell that he really enjoys what he does. Dr. Moiin is by far one of the best Doctors I've ever seen. Wonderful physician. Staff act a bit put-out when you arrive, but nursing staff and the provider are wonderful. Very quick, medication prescribed worked immediately. Excellent doctor, the best I've seen. Dr.Moiin truly cares about everyone and works from the heart , you can easily tell he loves what he does. He is an amazing doctor and a good person to talk with. An expert in his field and highly recommended! it was ok. Unless it was because I was a new patient, the wait time was way too long. I ended up waiting past an hour of my scheduled appointment time. Not very promising or professional of them for that manner,although most places are usually that way anyway... BUT they did apologize to everyone that had to wait so I'll give them that. And they're all really nice.